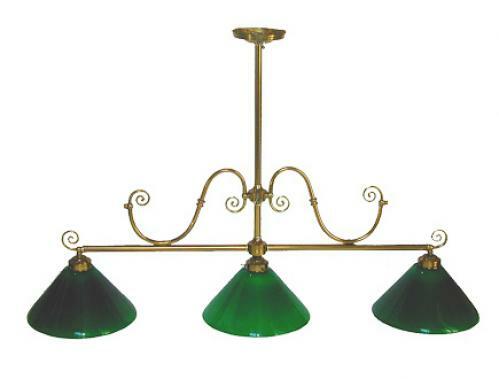 A Handsome Early 20th Century Brass Billiard Chandelier No. 2214 - C. Mariani Antiques, Restoration & Custom, San Francisco, CA. H 29 1/2"; W 47 1/2"; D 11 1/2"